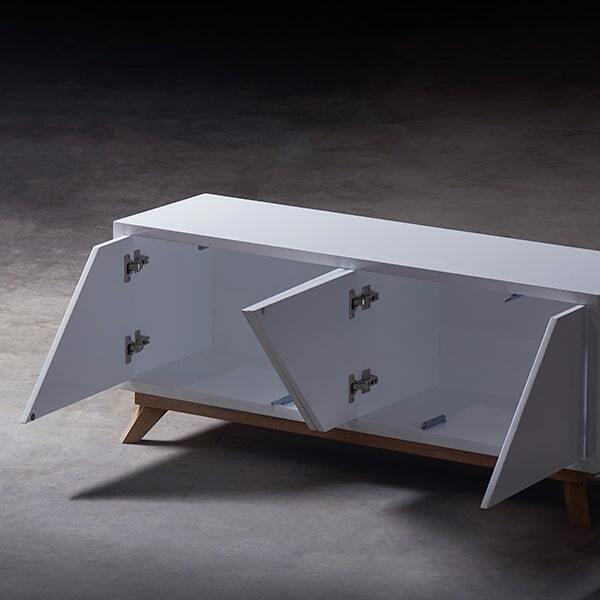 The combination of the smooth surface, the white color and the doors of this trapeze shaped drawer unit, will give to the space a fancy and sober style. 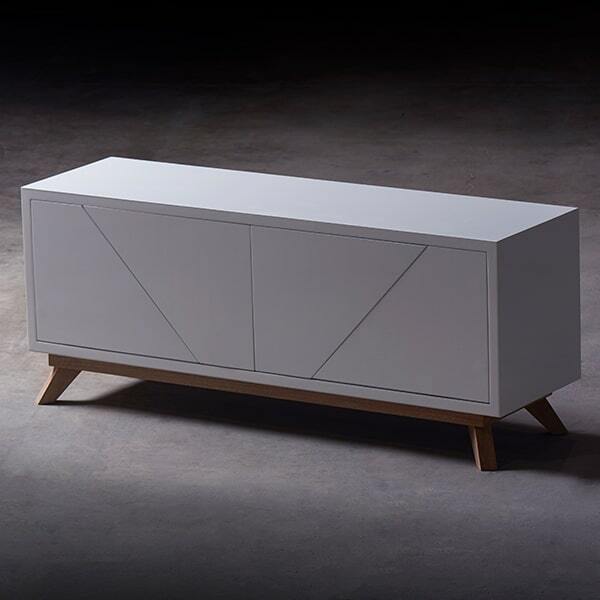 Like the other products in this collection, the geometric figures inspired the shape of the piece. 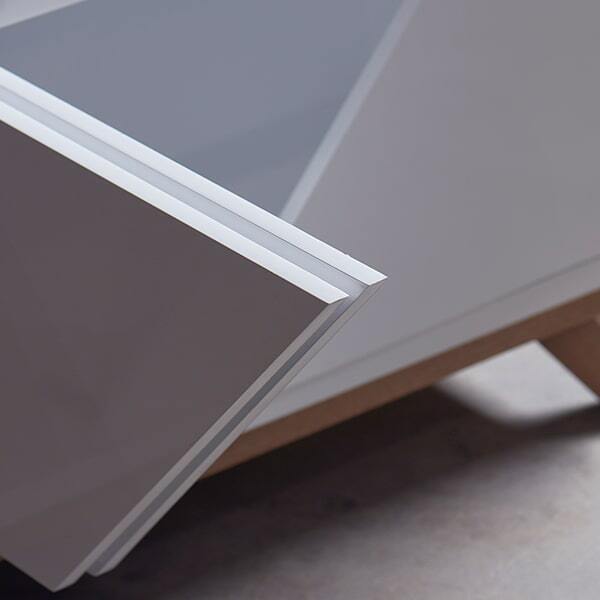 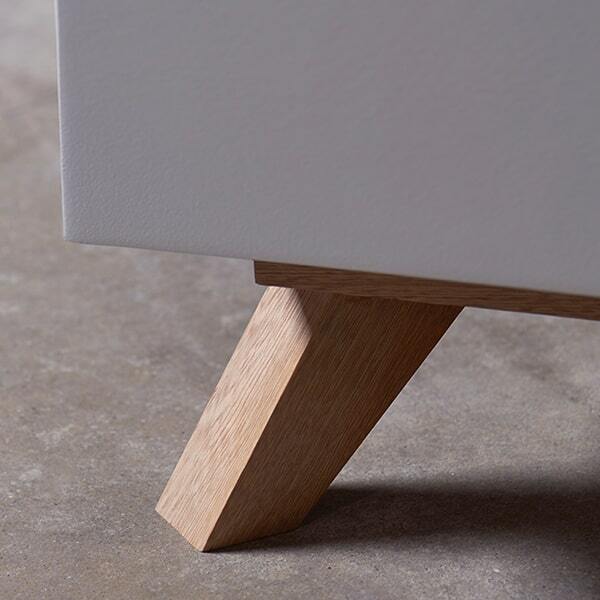 Made with wood and painted in white polyurethane, the G3 Drawer unit uses a push open system that preserves a smooth appearance in the piece.